For a true taste of old Italy, visit Rizzo’s Malabar Inn of Crabtree, Pennsylvania, conveniently located off of Route 119, just a few short miles from Greensburg. Since first opening in 1935, we have taken pride in offering authentic Italian cuisine through signature family recipes passed down through five generations. Using only the freshest ingredients, we create dishes packed full of feel-good flavors and robust aromas that may just make you feel as though you are dining “al fresco” along the Amalfi Coast or on a Tuscan terrace! Contact us today to make a reservation to dine in or order take out for a taste of why we have become a staple in the community for over 80 years! Visit our Market Place & Chocolate Shoppe for all of your Rizzo's retail needs, including Rizzo's Handcrafted Chocolates, homemade pasta sauces, frozen items, gift cards, assorted desserts, and much more! Open at 10AM (Tues. thru Sun., closed Mondays). Our famous House wine and many of your other Rizzo's restaurant favorites are now available TO GO! 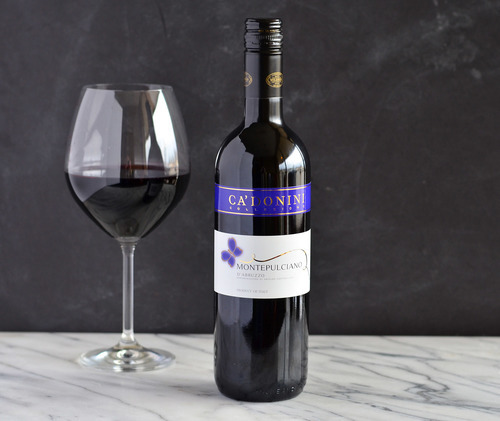 Featured Wine: (House Red) Ca'Donini Montepulciano D'Abruzzo, Deep ruby red in color with an intense, berry-like bouquet. Dry, and savory, with hints of blackberry jam and good tannins. 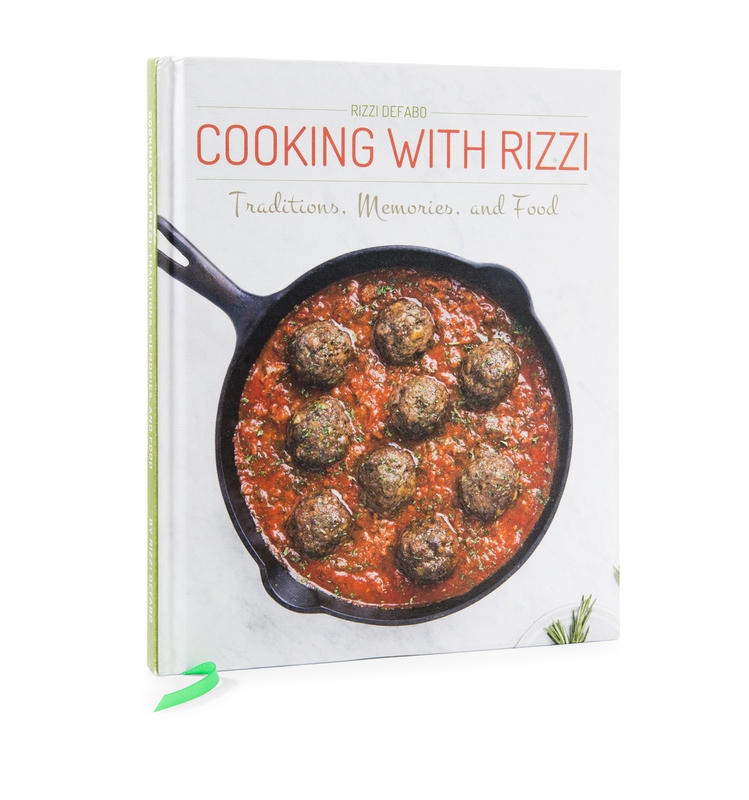 The recipes found in this cookbook, authored by Rizzi DeFabo, will not only invoke fond memories of one's own family traditions, but will also inspire all to sample new fare. From tasty main courses to simple desserts, Rizzi invites you to reminisce, cook, and enjoy with family and friends. Visit our 'Shop Now' page to order online or pick up an autographed copy at the restaurant today! 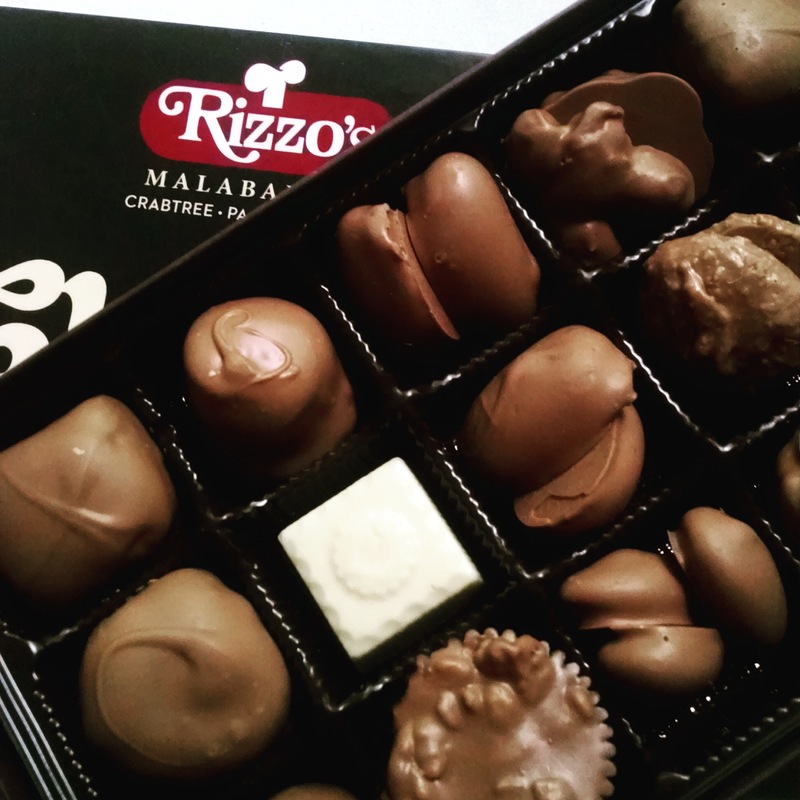 Rizzo's Chocolates make the perfect gifts! Stop into our Chocolate Shoppe and Marketplace today to check out our entire selection of novelty and classic sweets.